Tumblr has a huge and active LGBTIQ community, and it’s hardly surprising that there’s significant overlap with the occult/pagan/Wiccan community there. 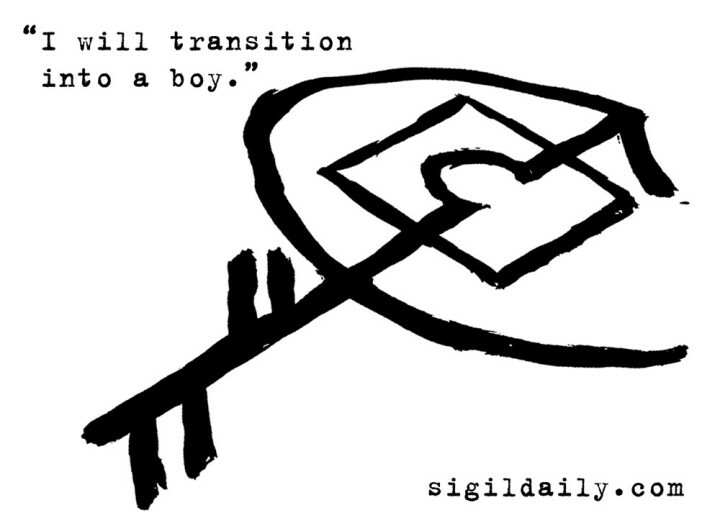 As a result, the Sigil Daily Tumblr page has quite a few followers who fall into the LGBTIQ spectrum. One such follower asked for a special sigil to help with their female-to-male transition, a long, stress-filled and expensive process that requires more than a little bravery. My answer: You got it, dude!